The full US Senate is expected to have an initial vote on Judge Brett Kavanaugh's Supreme Court nomination on Friday. Senators could begin reviewing the FBI report on sexual misconduct allegations against Kavanaugh on Thursday. A man is in custody in South Carolina accused of shooting seven sheriff's deputies and police officers. One officer died. Authorities did not immediately name the suspect. The New York tax department says it's studying a report about President Trump and his family's taxes. The New York Times claimed the Trumps cheated on taxes for decades. Trump insists he did nothing wrong. 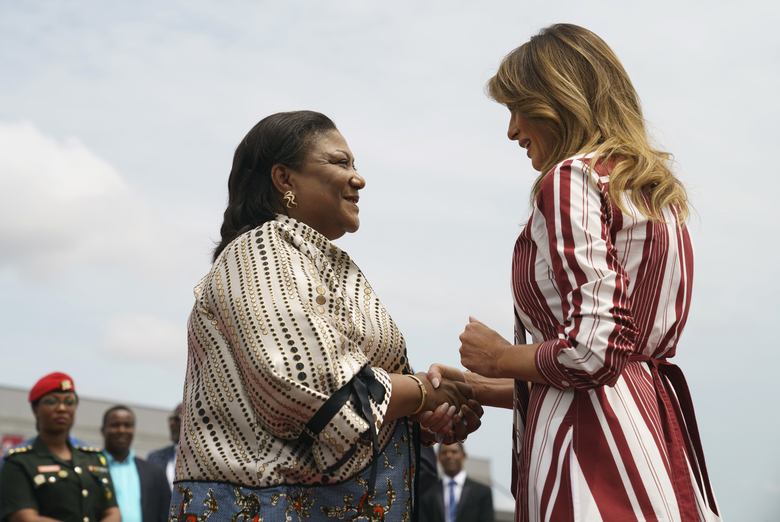 And First Lady Melania Trump left Ghana in West Africa early Thursday. She flew to Malawi and also has stops in Kenya and Egypt. 1.The full US Senate is expected to have an initial vote on Judge Brett Kavanaugh's Supreme Court nomination on Friday. 2.The New York Times claimed the Trumps cheated on taxes for decades. Trump insists he did nothing wrong.